There are several blends that relieve congestion caused by a cold or the flu. Eucalyptus, lemon, and peppermint are three of the most popular. If you aren’t sure what recipe to try, you might enjoy one of the pre-mixed preparations made by essential oil companies. 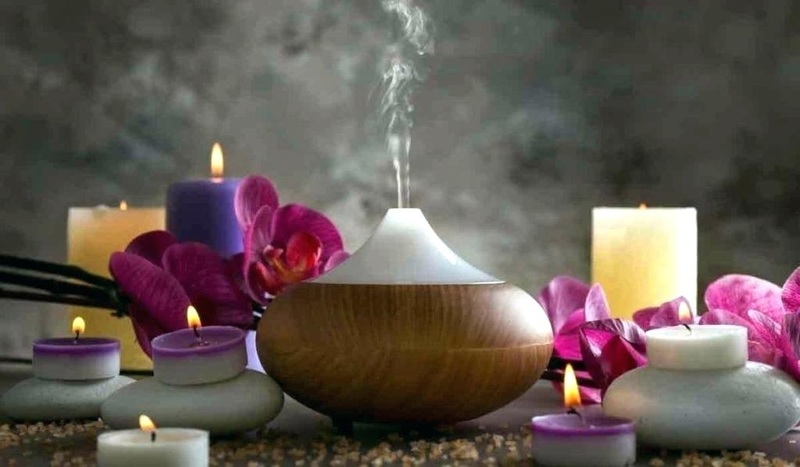 Those blends are an inexpensive way to enjoy the benefits of costly oils like frankincense. Or if you just generally don’t feel up to facing the day, try essential oils that alleviate pain. Instead of diffusing them, make an ache-relieving rub by mixing a few drops with your favorite lotion or carrier oil. Then, fill your car diffuser with a favorite scent for the commute to work. Compact essential oil diffusers like these are handy when you’re traveling or want to enjoy an uplifting aroma at the office. While at work, use the antiseptic properties of oils like lavender, peppermint, and tea tree to protect those around you from catching your cold. Diffuse them, or make a surface cleaner to sanitize doorknobs and the like. If you have pure essential oils that are safe to ingest, put a few drops of lemon in your tea for an afternoon pick-me-up. Peppermint is another invigorating choice. At the end of the day, pamper yourself with one of the most delicious-smelling essential oils. You did what had to be done, and now you can relax. Try to get some rest so you can feel better tomorrow.